The latest image from NASA's SOHO satellite taken on March 4, 2017 shows a massive anomaly, possible an alien spacecraft, which shoots out of the sun. 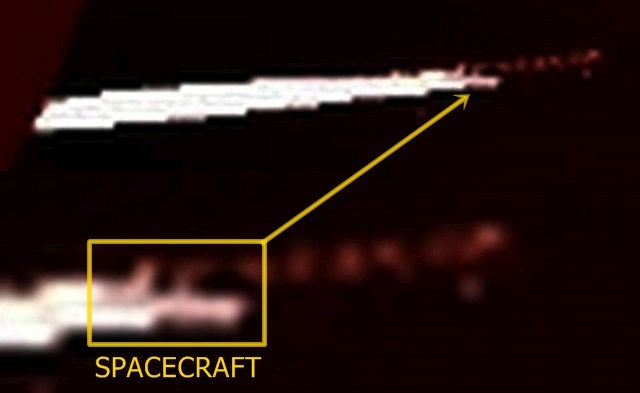 At the moment the UFO detaches from the sun a burst of brightly material can be seen erupting from the sun’s surface, even it looks like the shield of the alien vessel is still glowing from the enormous heat before it shoots out into space. 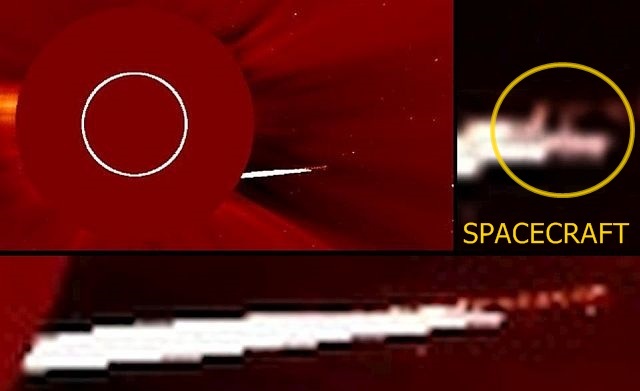 Although NASA scientists probably will say that it was an outburst of the sun’s magnetic field called a coronal mass ejection this appearance is more likely a UFO that has used the sun for some reason.